It was love at first sight when horseless carriages began smoking and spluttering across the dirt and dust of 19th century Australia. Since then, Australia has been infatuated with the automobile, the motorcar, the car. The story of the car in Australia is the story of our heroes, our eccentrics, our parents, our mates - our lives. 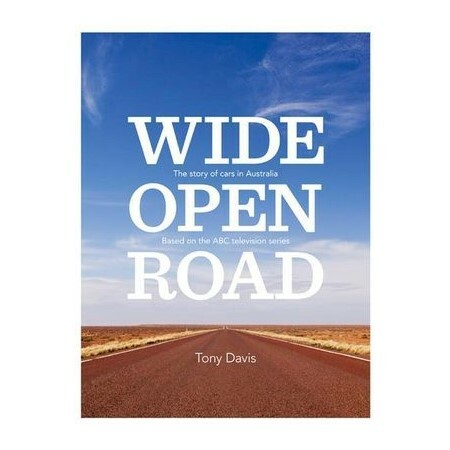 Wide Open Road, the companion volume to the forthcoming ABC -TV documentary series, is a spectacular tribute to the car's limitless possibilities. From the trail-blazing Francis Birtles criss-crossing the deserts, to the era of homebuilt cars and early petrol heads who raced between our cities; from pioneering Australian inventions - including the ute and the four-wheel drive - through to the fraught but triumphant birth of our own Holden. There's the heat and passion of Moffat and Brock's rivalry at Bathurst; the ingenuity of Brabham's world-beating F1 car; the magnificent failure of the P76; and fifty years of the Falcon. Share the memories of more than forty motor enthusiasts - including Jack Brabham, Reg Mombassa, Paul Keating, Jean Kittson, Jac Nasser, Bev Brock, Allan Moffat, Vince Sorrenti, Colin Bond, John Bowe - as they rationalise, ruminate, reminisce and occasionally rave on about our enduring love affair with the car.